What a fantastic day we had! The unveiling of our new PMAV Bendigo Branch on Saturday 24th May, at the Notley camping ground, Whipstick, Bendigo. This has been a very long time coming and I was overwhelmed with the amount of people who turned up for this great event. 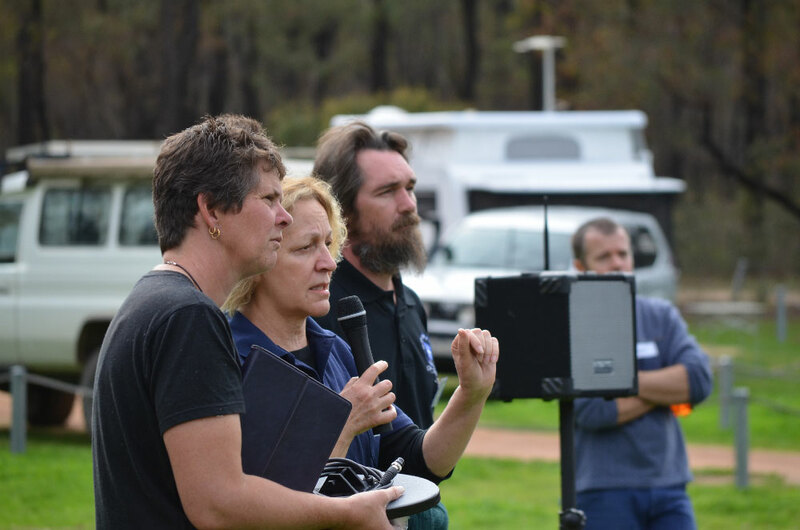 A few PMAV members and members from my True Blue prospecting group camped out under the stars from the Friday night and some of us even hit the goldfields for a night detect. Terry Lucas managed to find 1.55 grams of gold. We then gathered back at the camp site around the fire, for a communal chat and drinks, talking about our branch and gold of course! 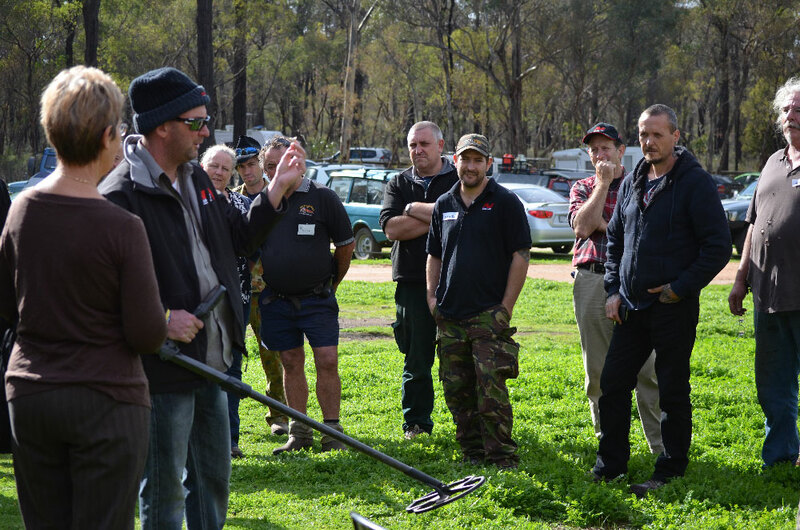 On the Saturday, BendigoGold (Miners Den) had a fantastic display of demo machines and other prospecting gear, on show for the public and they also provided a free BBQ too. Dean from Double D Leather, also had a stand, displaying his control box covers and pick holders. 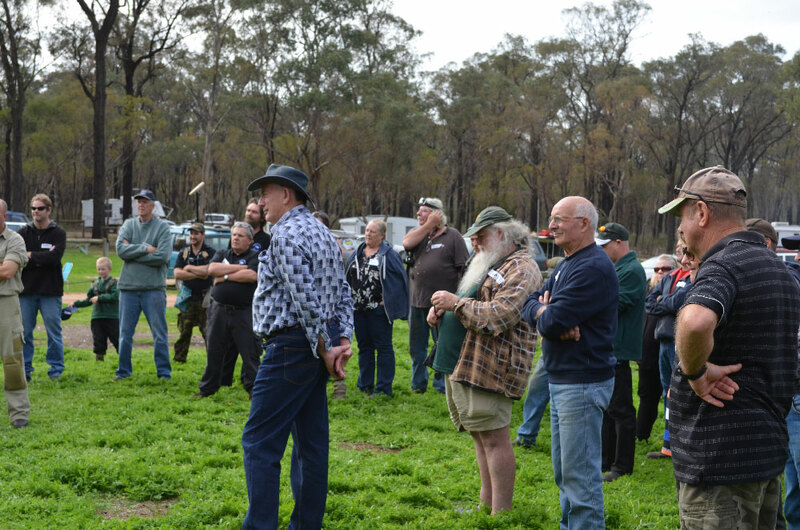 At midday, the BBQ was fired up and we all had a chat to future PMAV members and current members about what the Bendigo Branch could do for prospectors in the surrounding areas. Rita Bentley, our PMAV President and Wallace Young, our Secretary, also had a talk about how important this was to Bendigo, as Bendigo was built on gold! They spoke how wonderful friendships can be built and how we have now been introduced to new prospecting areas (currently under Legislation), which would not have happened if it were not for the PMAV. Parks Victoria also had a talk about new maps that are available of where you can and can’t prospect and there is a new App that is free to download to your smart phone, iPad etc..Very useful when out prospecting – No further internet connection is needed to access the maps, once it is downloaded. So thanks Parks Victoria for coming along to the event. I would love to sincerely thank Rita Bentley, for getting behind me on this. Without your help, none of this would have happened. I would also like to thank Wallace Young, for all his support and all the emails and phone calls back and forwards, to get this branch off the ground. 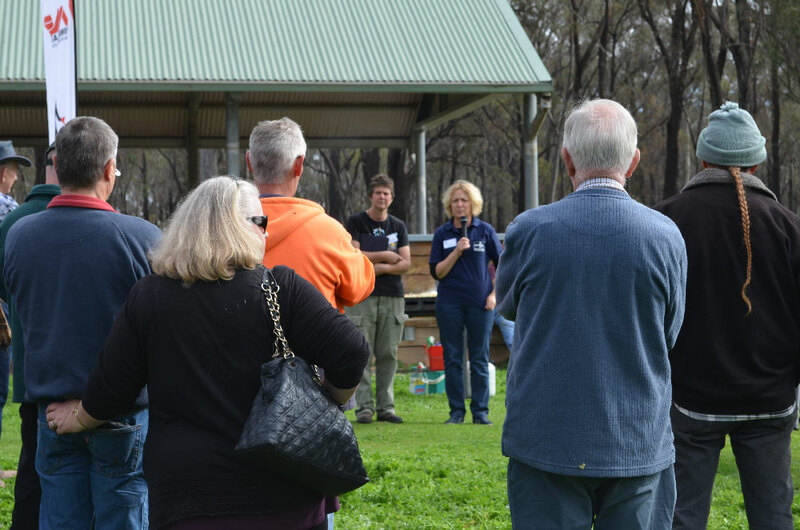 I would also like to thank Dave Watters, Rachel Hunter from BendigoGold (Miners Den) for your wonderful displays and supplying us with a fantastic BBQ. I would like to thank Dean from Double D Leather for your display of equipment. A big Thank You to the President Paul Scott and his wife Lynda, who represented Bendigo Gem Club and to Parks Victoria for the map information. I would also like to thank Greckie from Golden Triangle Tours, Rohan from Nugget Finder Coils and Robert Thacker and Greg for their donations to the Bendigo Branch – We will hold some raffles soon, so stay tuned guys! A very special Thank You to my True Blue Prospecting group – You all know who you are! If it was not for you guys, believing in me, then our Bendigo Branch would never have become possible. Stay tuned for future prospecting outings and our next PMAV Bendigo Branch meet up will be Queens Birthday long weekend 6thth – 9th June at Paddys Ranges State Park, Maryborough – Follow the Old Avoca Road, then turn into Karri Track and you be at the camping ground. Two toilets, fresh water and plenty of sites for vans and tents. See you there.